The best utility knife can serve as a box cutter and more. You’ll find that it can serve also as a pocket knife, rescue knife, and even in light use cases, as a camping knife. A utility knife’s utility is far more than what most people expect (hence the name). Here are some ideas on what to look for when shopping for the best utility knife. Name Fastback Flip D-BKWH E.A.B. 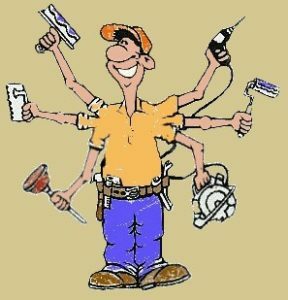 Most people use utility knives for household purposes. This type of knife is most often used when cutting materials that are too heavy for scissors, such as cardboard, wood, or plastic. Some utility knives have adjustable blades, so you can extend the blade out as far as you need it to go for scraping, cutting, or scoring. However, the blades for these knives are not the forged and tempered steel of high quality knives. This means that the knife is sharp but will (and can) chip. Don’t use a utility knife as a pry-bar. One of the features of a utility knife is the replaceable blade, a feature you don’t find on other pocket knives. Since the blade is not intended for lifelong use, your focus will be on the knife handle itself. 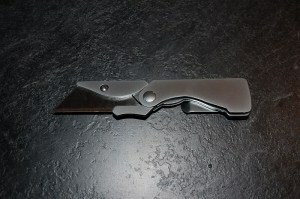 The knife handle for your utility knife should fit your hand. If it is too large, you won’t be able to grip the knife when you’re using it, and if it’s too small, the knife will turn in your hand, preventing you from having control of the blade. The knife should not get slippery when your hand is wet, and there should be some form of contour to the handle to keep your fingers in place. You don’t want your hand to slide forward onto the blade. However, while you don’t often see finger guards on utility knives, you should see finger grooves that provide security when you’re holding and using the knife. The handle of retractable or folding utility knives should have a strong lock. Retractable knives usually have a button of some sort that you use to extend the blade. The button sets into a groove when the blade is extended, and you press the button loose from the groove to retract it. A folding utility knife operates like a pocket knife, with a lock that pops into place when the blade is open. You depress the lock to close the knife. The lock should not be easily depressed if the knife slips in your hand. The lock should also be located in an ergonomic location so opening/closing the knife would not cause pain after a full day’s use. The blade itself should be made of stainless steel. This will allow it to retard the formation of rust and corrosion. Since your utility knife will be used for cutting a wide variety of materials, care should be taken that the blade is fresh and ready for use. Knicks and dings in the edge may cause the knife to make ragged cuts. The edge may even break, causing an interference with the cutting motion. In addition, a blade with damage may cause the knife to slip out of control during your cutting motion, presenting a safety hazard. You can purchase blades for your utility knife for different uses. HOBBY or CRAFT BLADE makes it possible to carve and whittle many different materials. These blades are usually curved and have a low angle. HOOK BLADE is also useful for cutting carpet, and is also used in roofing and for cutting cartons. The hook blade is usually oversized so that it can cut thicker material. LINOLEUM BLADE cuts flooring materials other than carpet, providing a clean, smooth cut. ROUNT-POINT BLADE protects the user from stab injuries as they strive to jab a hole in the surface being cut. SCORING BLADE is necessary when cutting acrylics or laminates. The user scores the material to achieve a clean break. UTILITY BLADE is used for general duty, adaptable to different thicknesses and different materials. 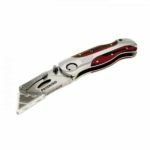 There are many different kind of utility knives on the market, available according to the manner of use for which they are intended. Brightly colored plastic handles make some utility knives easy to spot in a cluttered tool box, while others look more like classic pocket knives. The common denominator is that they all have replaceable blades. Here are reviews of three different folding utility knives. This knife is great for home repairs. This handsome knife is affordable and easy to use, with one-handed blade opening. The blade flips open 3X faster than the typical folding utility knife. You also have the convenience of being able to change the blade without having to use tools. The Fastback also has in integrated gut hook, making it very useful for cutting wires and small things. It also has a wire stripper that will strip the insulation from a 10 gauge wire. This model also has a thin body, making it fit in your pocket easily. Reviews on the Fastback are quite positive. 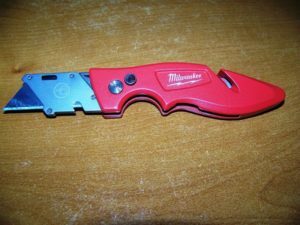 The fact that it is manufactured by Milwaukee was enough to convince many customers to buy this knife, and they report satisfaction with it. The one handed operation is especially praised with this item, as the user can continue holding his work in place as he flips open the knife with his free hand. Customers also like the fast blade change button which, they say, saves them time on the work site. Although the knife is marketed as having a slender body, customers universally praise its heft, saying that it is very easy to grip and control, while not being too heavy in the pocket. Finally, another much praised feature is the finger notch, which provides control and strength. Click here to learn more about the Fastback. The E.A.B. has deep finger grooves for a good, solid grip. When fully opened, the knife is a little over 5 inches long. The blade is about 2 ¼ inches long. This stainless steel knife is resistant to corrosion and rust, and has a clip that can be used as for the pocket or as a money clip. It is most often used as any other utility knife, in slicing rope, jute, and in cutting boxes. This knife has a lifetime warranty. Customers who purchased the E.A.B. use it in construction say it holds up well while cutting drywall and shaving the edges. They use is opening boxes and cutting rope or twine, and say that the blade sets securely in the handle. The blade is easy to change. 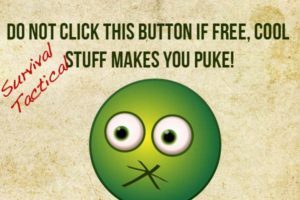 People who purchased the E.A.B. also say that, despite its slender design, it is easy to grip and very sturdy. 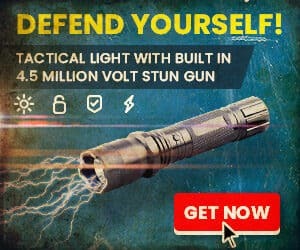 It fits in the pocket well, is lightweight, but a strong knife. The lock is strong, but not stiff. It holds standard as well as Gerber blades. 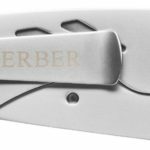 Click here to learn more about the Gerber E.A.B. This knife has great style. This particular model of the Bessey has a wood grain handle, making it attractive as well as functional. This folding utility knife is compact enough to fit into your pocket, yet easy to grip and control. 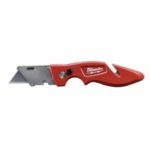 It accepts all brands of standard utility blades, and has a pocket clip providing easy access. 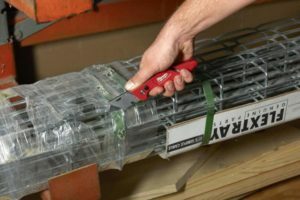 The D-BKWH has the Bessey patented quick-change blade that requires no tools to change the tools. It also features one hand opening. Customers who bought the D-BKWH love the knife, even after putting it to heavy use in home improvement and construction. It was used in cutting insulation, and the fact that it could be folded and put into a pocket made it easy to keep track of. Other consumers praised the appearance of the knife, citing the wooden insets on the aluminum handle as a great improvement over plastic and steel as far as style goes. The handle is easy to grip, and doesn’t turn in the hand. The one handed opening is also a big plus with most users, who say they can simply flick the knife open with one hand while the other one is holding material in place. 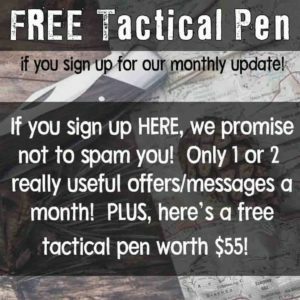 Click here to learn more about this knife. 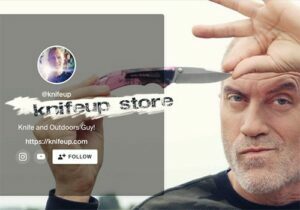 KnifeUp’s Recommended Utility Knife. Click on photo for more details. 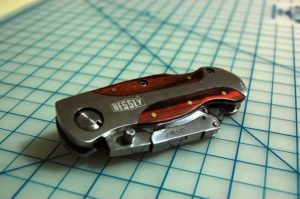 For style, strength, and durability, the Bessey may be the best knife in this category. You get the versatility of a utility knife and the style of a collectible pocket knife. Adaptable for light sports and construction, the Bessey is a good-looking choice. Click here to buy a Bessey D-BKWH.